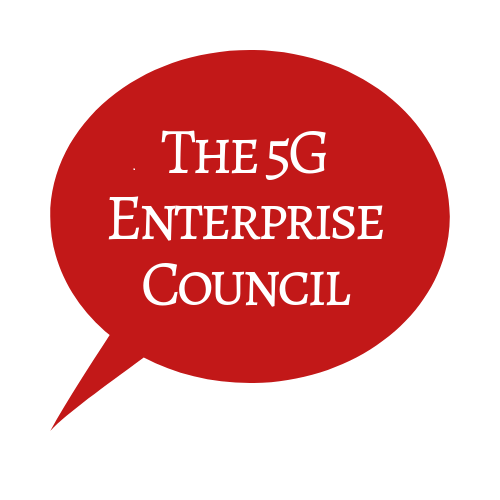 It’s that time again, the hallowed Enterprise 2.0 conference is revving up for early June. I was pleased to work on the agenda this year with Steve Wylie, the conference organizer, along with other members of the advisory board. The conference is in its second year and promises to reflect the maturation that occurred in the space over the past 12 months. Although many first-time attendees to the conference will be new to Enterprise 2.0, the concepts and themes have evolved and been refined over the past 12 months. Three out of the four largest enterprise vendors are big sponsors this year (IBM, Microsoft, and Oracle.) I’m personally hoping we see relevant, interesting developments from these large vendors this year. We are introducing two new ideas to the conference this year which I’m particularly excited about. The first is Stowe Boyd’s Launch Pad where four (whittled down from a larger number by votes) audience-chosen startups will have an opportunity to demo their products and compete for a winning spot for the best launch pad product/service. As there is such a torrent of new products coming onto the scene, this is a great attempt to filter out the most useful based on collective crowd selection. We are considering doing something very similar regarding sessions for September’s Office 2.0 conference based on the SXSW’s panel-picker software. 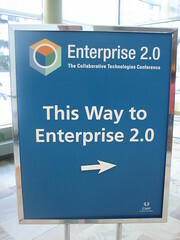 The second event, or maybe unevent I should say, is called Enterprise2Open. Modeled after “barcamps and unconferences,” this will be a half-day’s worth of unstructured Q&A and sharing hosted by Ross Mayfield. The unstructured, open-type of event has been popular for some time in the development community, but we thought we’d attempt to try it out this year with a non-technical audience. The format provides a no-hassle, informative forum to ask any and all of your burning questions related to Enterprise 2.0 and get answers from peers and folks in the community who may have experienced the same issues. You may want to consider getting your questions and topics suggested in advance by posting them to the Enterprise2Open wiki. You can actually be a presenter yourself, if you bring your own soap box. Just get yourself on the self-organized agenda. The entire session will run in the afternoon on Tuesday, June 11 from 1-4pm. nGenera is sponsoring the event, so I’ll be there with a few of my colleagues and customers. Speaking of customers, Rob Carter, CIO of Federal Express is giving the opening keynote. A group of us were in Memphis at Fedex’s central distribution facility in March where we heard Rob talk on 2.0 adoption. Rob sees himself as an evangelist himself for 2.0 in the enterprise. I’m really pleased he accepted the offer to keynote on Tuesday morning. One of the conference themes this year is accelerating user adoption. Having notable icons from the F500 executive board room will go far to lower the barriers of trial and experimentation with 2.0 alternatives. I’ll be at the conference from Sunday to Wednesday. I hope to see many of you there. Please drop me a note or a comment here to let me know if you’re attending. Many thanks to all the folks on the panels I helped arrange. Photo credits: Jeckman on flickr and Alex Dunne on flickr.